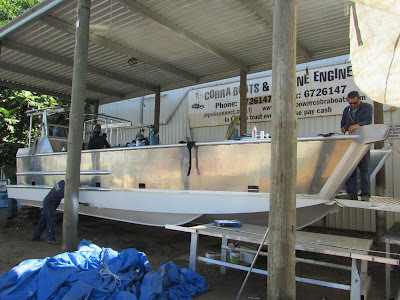 Sea Mercy Fiji: Cyclone Winston Disaster Relief and Recovery Updates: Help Us Name Her! Sea Mercy's Sea Bridge Landing Craft - 2 weeks from Launch! Help Us Name Her! 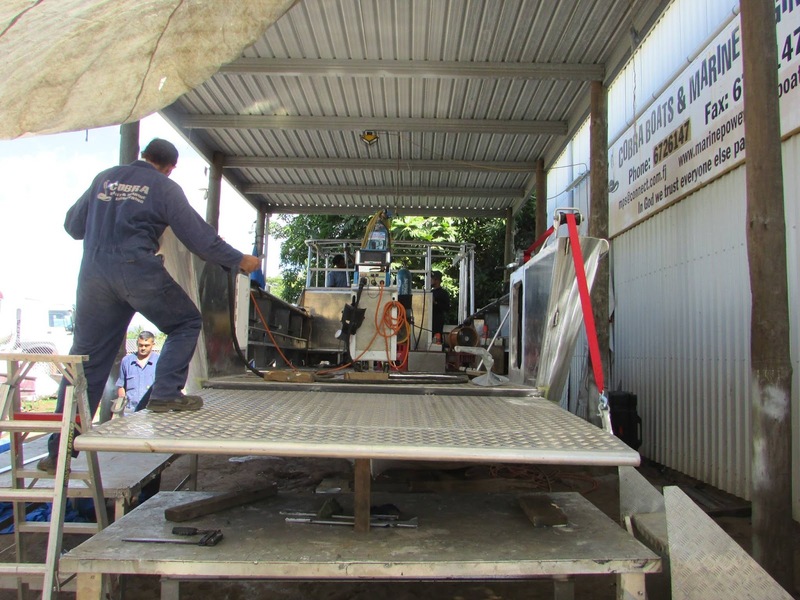 Sea Mercy's Sea Bridge Landing Craft - 2 weeks from Launch! Our deepest appreciation for the overtime hours that Dave Bloxham & his incredible team at Cobra Boats have been putting in to get our dedicated light transport ready for the June 1st launch of our Sea Bridge Remote Island Recovery and Rebuilding program for Fiji. The Landing Craft gives Sea Mercy and our volunteers the ability to deliver the lumber, roofing, equipment, concrete, water tanks, and heavy supplies that are so desperately needed on the remote islands. 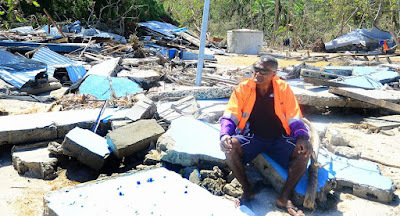 Our thanks to everyone for their support of the Emergency Response efforts and now our Sea Bridge for Fiji recovery program. Please share what Sea Mercy is doing with your friends. Rosie Holidays Donates $31,000 to Sea Mercy! 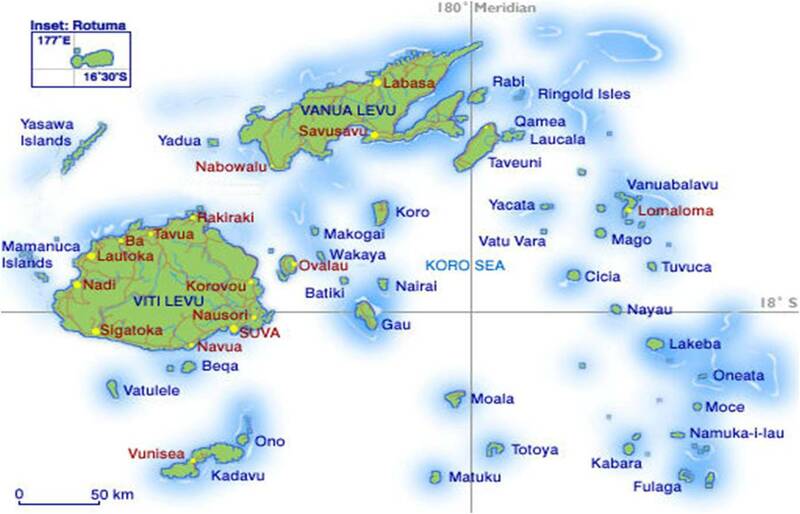 Makogai Island Needs Your Help! 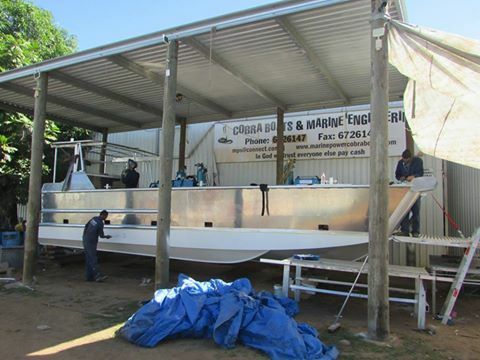 Sea Mercy Landing Craft - 30 Days to Launch!